We’re thrilled to invite you to attend an evening of complimentary axe throwing and a league information session! Our winter axe throwing leagues commence January 15th or January 16th and we’d love for you to join! 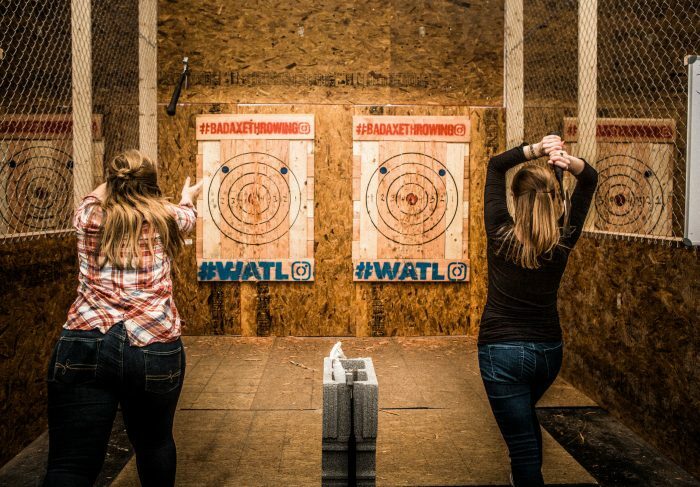 Each one of our 16 Bad Axe Throwing locations will be hosting a free information session and your invited! Interested in our Winter League? Come try it out for free and sign up! 🔥 LEAGUE INFO SESSION & FREE AXE THROWING SCHEDULETag your friends and smash that share button 👊➡️ Sunday Jan 7: 5pm – 8pm ✔ • Burlington ++++++++++++++++➡️ Monday Jan 8: 8pm – 11pm ✔ Canadian Locations: 🇨🇦🇨🇦🇨🇦• Kitchener • Mississauga • Ottawa • Surrey • Toronto • Vaughan • WinnipegUS Locations:🇺🇸🇺🇸🇺🇸• Chicago • Denver • Oklahoma City • San Francisco • Washington D.C.++++++++++++++++➡️ Tuesday Jan 9: 8pm – 11pm ✔ AtlantaWe will be signing people up to league play during the free axe session! So come hang out and get ready to join in on the World Axe Throwing League winter season! 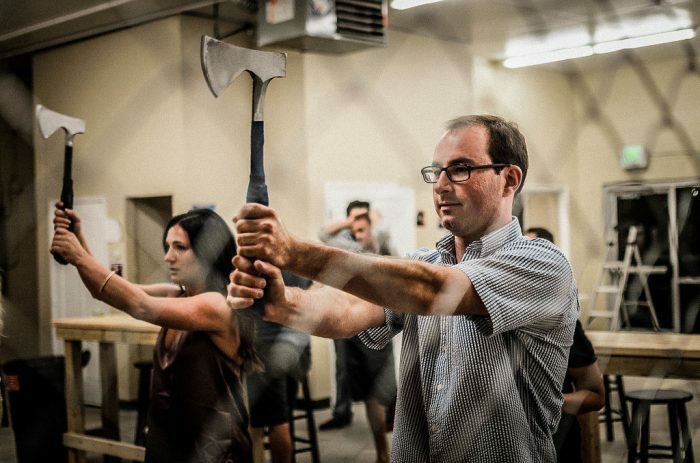 Our professionally trained coaches will provide a brief orientation on how to throw an axe. You’ll have the opportunity to practice throwing and learn more about how the leagues are structured. Axe throwing leagues run for 8 consecutive weeks. Scores for each throw will be tallied and recorded. It doesn’t matter who you are throwing against as it’s all based on the best score! The winter axe throwing leagues are scheduled to commence either Monday January 15th or Tuesday January 16th. Leagues will commence at 7pm local time across all locations. To join a local league will only cost you $15/week. Weekday league nights run for about 2 hours in length. It’s a great opportunity to set a weekly date night with a spouse or a weekly get together with the girls or boys! It’s also an opportunity to meet new people in the community! You can expect to have a fun time, hanging out with like minded people in the community and the opportunity for bragging rights if you are an axe throwing champion! Lastly, you have the opportunity to participate in The World Axe Throwing League and potentially win $3500! Bad Axe Throwing provides all the equipment and material. No need to purchase your own axe or any other equipment. Just bring your buddies and yourself or make new friends if your coming solo! If you’re already interested in registering for the winter axe throwing season, you can visit our website and register today! Still on the fence? Come try it out for free and sign up on site!